Outdoor lighting is an absolute necessity in every home, whether you live in a simple apartment or an opulent mansion. In Connecticut towns like Berlin, outdoor lighting encompasses everything from centuries-old historic homes to modern houses with the latest amenities. All of them require outdoor lighting, and regardless of the type or amount, it’s an absolute necessity. Here are 3 advantages of outdoor lighting that you should consider. First and foremost, outdoor lighting provides safety and security for your home and family. Criminals thrive in the shadows and a poorly lit yard – especially one connected to an unlit house – basically just throws open the welcome mat for them. Good outdoor lighting discourages them from your home, particularly motion sensitive lighting that turns on whenever anyone (or anything) crosses the sensor. For extra security, you should place at least a few inside lights on timers to click on when the sun goes down and give the impression that someone is always home. Another equally important consideration is the simple ability to get from your car to your front door after the sun has gone down, and get the door unlocked to get inside without fumbling around for the key. You can’t do it without a reliable outdoor lighting system, and all of us have had those nights where we forgot to turn the porch light on, and have had to stumble around in the dark. It’s no fun, and outdoor lighting — especially motion-sensitive lighting – can make the issue go away. Everyone wants their yard to look nice, and outdoor lighting can be a great way to do that. Moreover, it allows you and your family to enjoy your yard after the sun goes down with a little style and elegance. The advantages of outdoor lighting are self-apparent, but you still need a good lighting services to install and maintain it. 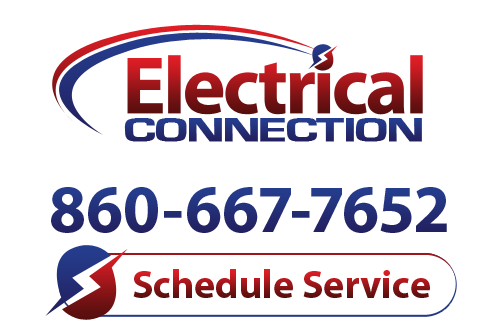 Outdoor lighting and other electrical services in Berlin, CT can be installed by the experts at Electrical Connections, Inc. We have the skills and hands-on training to handle most any issue, and we’ll work with you to make sure your needs and concerns are fully met. Give us a call today to make an appointment!